Olafur Arnalds – An ambient-electronic musician from Iceland, his songs feel like being submerged in water. Broken ceramics – I found a ceramic pot in my garden, that had filled with water but frozen into ice. The ice had split the pot into two perfect halves. Now I have two beautiful half pots, and many half ideas about what to do with them. 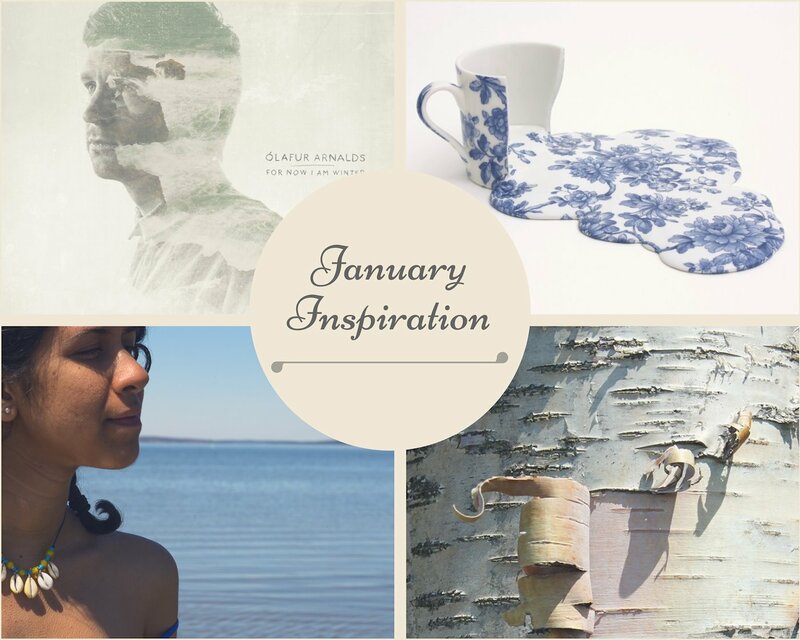 Birch bark – There are many pieces lying under my bed, that I had collected from last summer. They are waiting to find a home, or a project to turn into (…baskets, boxes, a painting? ), but they are so perfectly stained and scratched, that sometimes I want to leave them just as they are! Travelling/Summer – I try not to let my dreams linger too far into the future, and instead have little dreams for the week, or month. But this season the summer bug is crawling deep into my skin, and my mind is wandering towards having a large backpack on, painting plein-air, singing around a fire.